At first glance, Arcade Distillery’s recently-released War Theatre looks like the perfect tactical game to tide over those players looking to fill a void left open after the most recent Fire Emblem entry. It boasts similar tactical gameplay, including the familiar weapon triangle and terrain effects, and packs an impressive graphical splash in the form of darkly fantastical character and unit designs. But there are a few major areas it falls short in that its contemporaries manage to deliver on, namely variety, narrative, and simple quality-of-life decisions that turn War Theatre into much more of a slog than it really should be. War Theatre is set in a post-apocalyptic dieselpunk world that resembles nothing so much as a giant scrapheap. Right off the bat, players are given seven different campaigns to choose from, one for each of the seven generals the game features. Not only does that sound like a copious amount of content, but the designs of these avatars are both visually impressive and hugely imaginative. Cycling through the list of campaigns offers a choice of protagonists like the armored bipedal rodent, the Rat Mother; General Mort, a towering, sentient mech who has grown so tired of victory there’s nothing he craves more than someone to give him a taste of defeat on the battlefield; and Sister Robyn, a winged, angel-like creature clad in a gas mask and wielding a large staff used for healing. Giant tanks, flying prototype mechs, and crazed robotic inventors further round out this motley crew of interesting faces. Sadly, this is also where most of the initial interest ends. For such a varied and arresting main cast, precious little has been done to capitalize on them to create a fulfilling narrative. The campaigns consist of around six individual skirmishes each, most of which revolve around facing off against one of the other generals and either eliminating the opposing leaders, their units, or capturing the foe’s headquarters. The majority of battles begin and end with little to no frills, usually only a few seconds’ worth of text boxes before the next face-off begins. There’s an utter lack of world-building or narrative setup at the start of a campaign, and little to no closure at its end. Most other tactical games offer more narrative content in their initial setup or tutorial missions than War Theatre features throughout its entire runtime, about four hours or so per individual campaign. It’s easy to imagine there are all kinds of interesting things to learn about a character like Sister Robyn. There aren’t. Speaking of tutorials, first-time players may notice the utter lack of such an option on the game’s starting menu. Apart from participating in the one-on-one standalone Skirmish mode, which is really no different from the campaigns while completely zeroing out the story, the game just throws players right into a campaign. The turn-based gameplay itself is virtually a carbon copy of the Game Boy Advance’s Advance Wars series, reskinned to match War Theatre‘s visual style. Although several options have been slimmed down somewhat, there is still quite a bit to know about unit movement, combat advantages, terrain bonuses, capturing spaces, and collecting income, making the lack of a tutorial infuriating as players have to suffer through numerous defeats simply to learn the ropes. Combat in War Theatre is fairly balanced for those who know the inner workings of its combat system, but players unfamiliar with this style of game will be in for a frustrating learning curve, with no effort on the designers’ part to make it any less painful. Keeping things far more frustrating than they should by rights be are several baffling design decisions, like making vital information incredibly hard to find during engagements. The well-used weapon triangle returns here, with ground troops strong against airborne units, airborne winning out against mechs, and mechs trouncing ground-based infantry. Occasionally, the addition of water-based units on certain maps expands this dynamic a little. The attacker always enjoys an advantage, inflicting damage first, making head-to-head scraps between similar units a sometimes-worthwhile proposition. A unit’s strengths, weaknesses, combat range, and movement speed can be viewed upon its consignment, but might easily be missed by those not aware what to look for (or those who are simply unaware that such a weapon triangle even exists). Terrain features are not covered anywhere other than in a small on-screen info box that is, again, easily missed. These are all points of gameplay vital to developing a successful battlefield strategy, and War Theatre fails to address any of them in a satisfactory manner, something even the Game Boy titles aptly mastered. 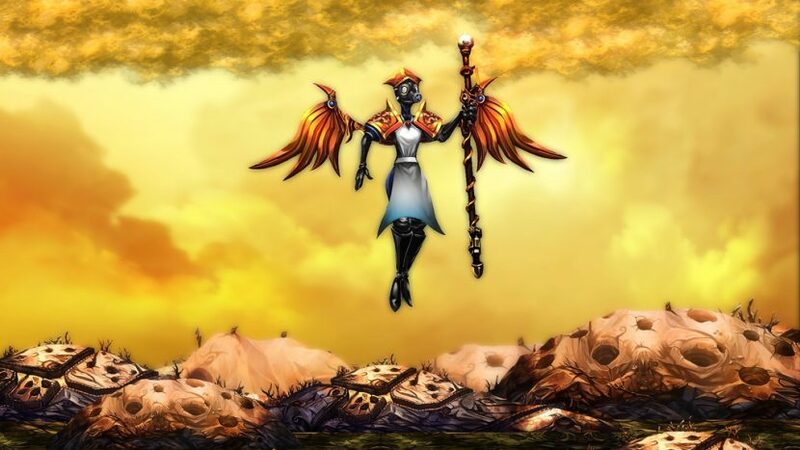 The game does offer players the opportunity to purchase and equip perks that provide some slight edges in combat, such as small boosts to certain units’ offense or defense, or the ability to heal in certain locations. But purchasing these requires money, which can only be earned by completing quests; emerging victorious from a combat scenario nets the player nothing. Quests, which can be picked up at the merchant, are mostly bog-standard and quite grindy, requiring multiple successful engagements to complete along the lines of building twenty-five heavy units or destroying twenty airborne units. Others are extremely specific, such as destroying five units using heavy units located on a bridge. Completing quests simply shuffles them back into the queue of available quests, ready to be picked up all over again. After a few rounds of this, the quest system grows far too tedious to earnestly bother continuing with. For those that manage to persevere through the game’s steep learning curve, other troubles rear their heads about the time gameplay feels natural enough to approach becoming entertaining. 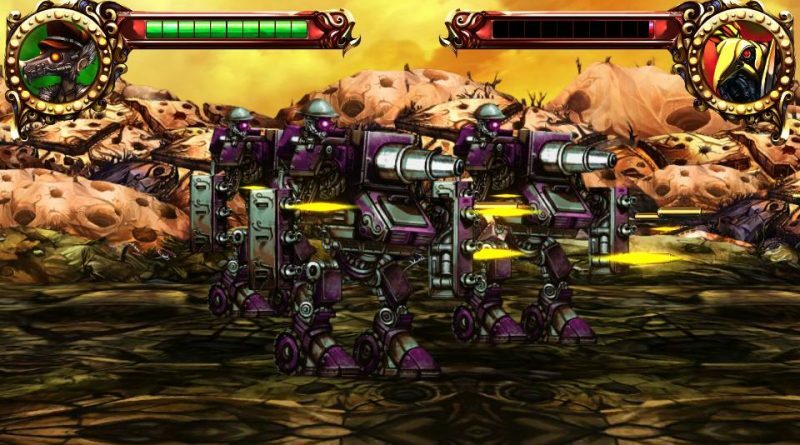 Despite the game’s favorable art style, there’s no escaping the fact that there are precious few different enemy units available, and after the first two or three engagements, players have seen them all. Both sides always use the same set of units, and they neither become stronger nor replaced by better versions at any point down the line. Even the generals, should one play through more than one campaign, will start to repeat on a loop. Victory conditions are almost always the same, and the only thing that remains unknown is how best to advance across each map in order to counter the opposing army and, yes, maps start repeating before long as well. It’s easy to get sucked in by the game’s visual style. The maps don’t look like much, and feature none of the variety in environments other games in the genre have exhibited. Every engagement takes place in the same dead-world setting of barren trees, bleak skies, and desolate terrain, though engaging an enemy in terrain such as forest, water, or hill does at least change out the combat background. As mentioned, the actual character models are very impressive, similar to the art style seen in the developer’s other games, with decent battle animations to boot. Again, the dearth of unit variety is felt here, as seeing a greater number of these unique designs would surely have been a big plus in the game’s favor. War Theatre‘s music does the job of providing some background noise to preoccupy the brain during tactics sessions. It’s even laudable that different emotional tones are felt in the compositions, from one or two exciting tracks to others that sound as hauntingly bleak as the world seems to be. At times, the music rivals any other world building found in the rest of the game, though this is more of a testament to how badly the world and its characters deserve to be fleshed out more. Voiced dialog is entirely absent, though the mechanical sounds of combat are in full effect. It’s hard to know who to recommend War Theatre to. Those who haven’t had much experience with similar tactical RPGs are going to be made to suffer until they learn from it. Those who’ve played enough like-minded games will probably be quickly bored by the shallower systems at play here. Those looking for anything as long as it has a solid narrative and a well-portrayed world won’t find either of that here. Technical issues are also present, as the game froze on save screens numerous times, luckily keeping the save file intact but requiring a software reset nonetheless. In the end, War Theatre boasts a nice visual polish that is masking an experience that simply isn’t up to snuff. They say war is hell, but War Theatre ain’t exactly a heavenly experience, either.